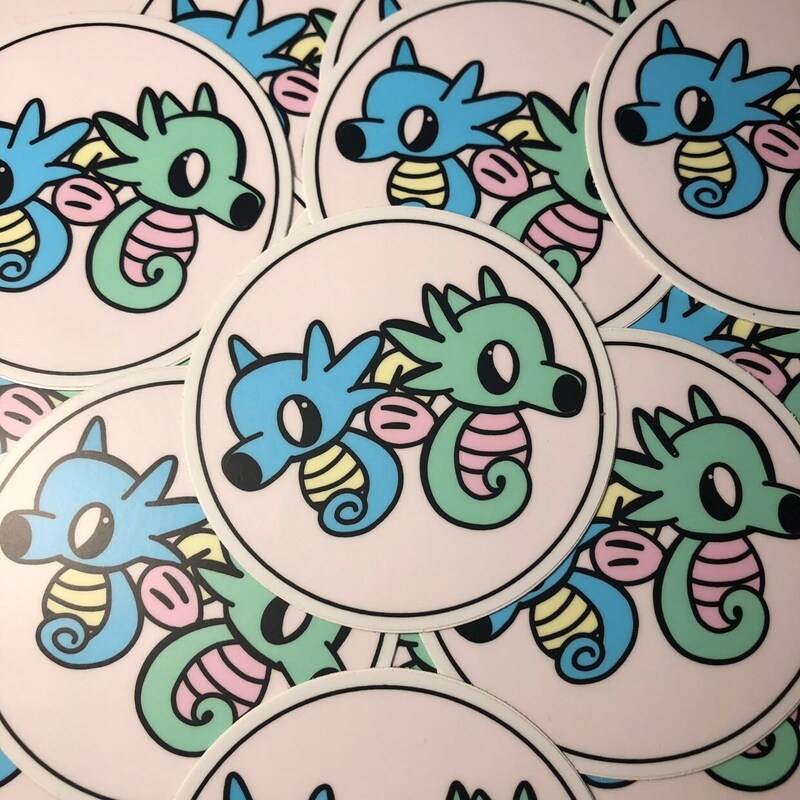 horsea sticker! This is a die cut vinyl sticker which is thick and durable! The vinyl will protect from sunlight, water, & scratch resistant. You Can wash your flask/water bottle when this sticker is applied. 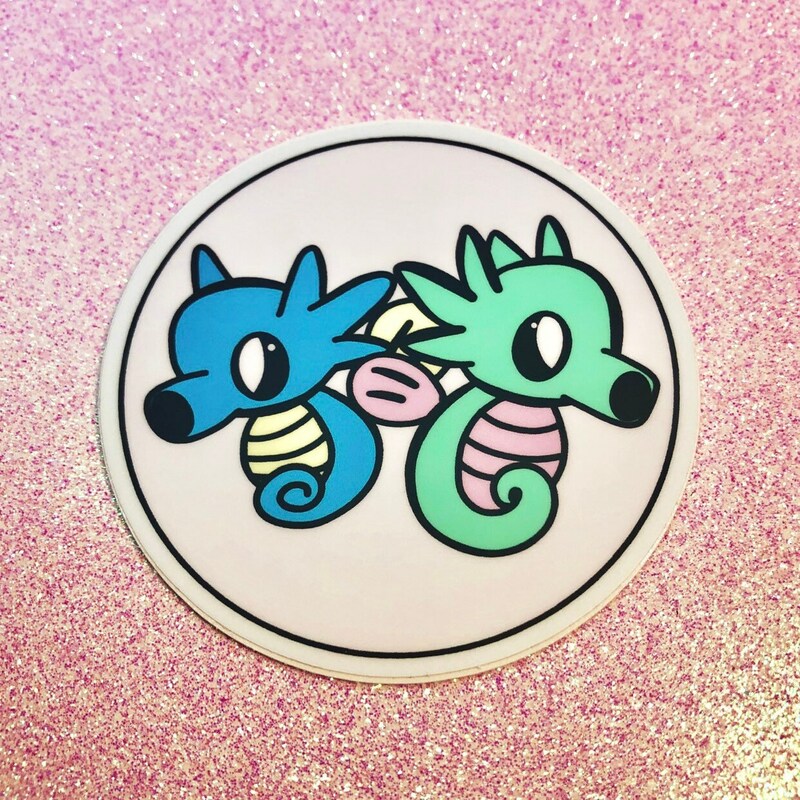 Sticker is 3” in length.